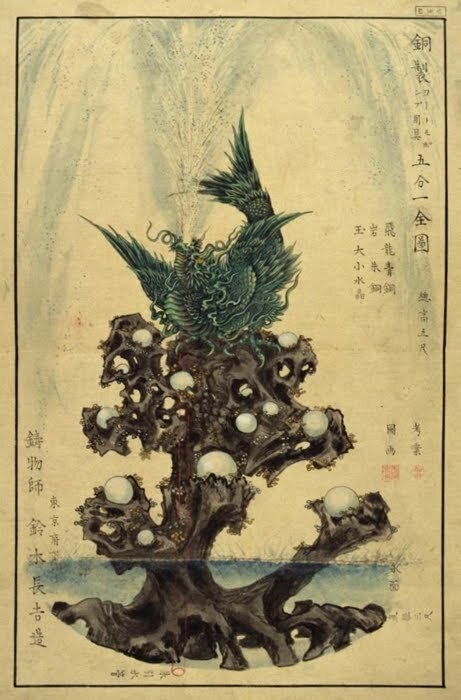 本名は鈴木嘉幸（かこう）。 His real name was Suzuki Kakoo. This huge piece is now in posession is Swizzerland, if I remember well. 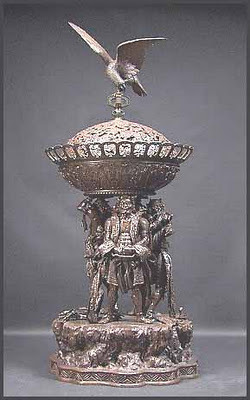 It takes a few people to assemble the various parts of this masterwork, a bronze stand for incense, about 2 meters high. Each part is decorated finely with patterns and motives, like small animals in the waves. The original is made with a special wax preparation, then covered in a non-meltable substance to produce a form for the melted metal to be poored in. After the casting, it has to be reworked and polished to make the various joints invisible. Chokichi worked 4 years to complete them. 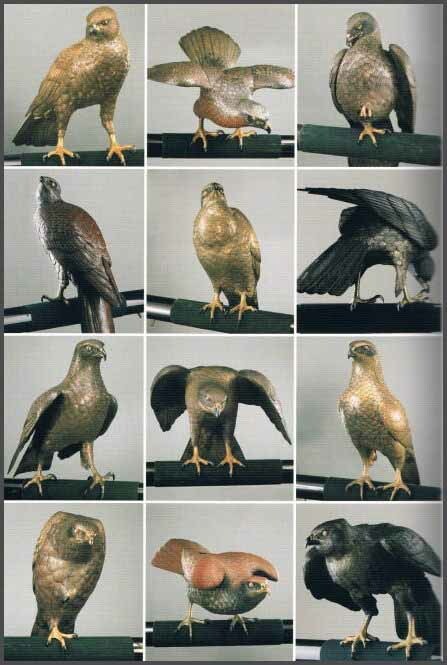 They look almost alive and ready to take off any moment. 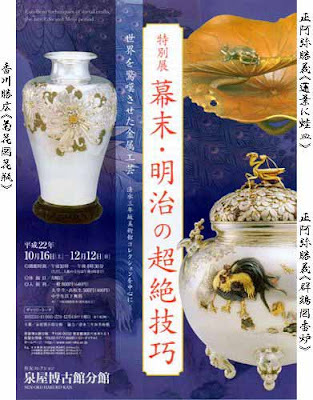 Look here for more masterpieces of metalwork, of the Bakumatsu / Meiji period of Japan. 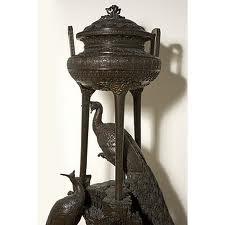 Most of the metal work was done under government protection for export, after the Paris exhibitions created an interest in Japanese artwork.
. . . CLICK here for Photos of the Catalog ! 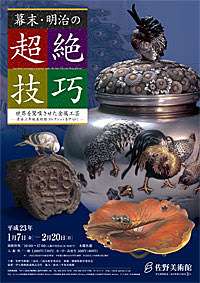 Click on the image for more of the metal work of this period.
. shippoo 七宝 （しっぽう）cloisonne .